This is one of the best things we've had in a while. It was SO delicious. I set the plate down in front of Chicken Legs and when I looked up, it was gone! He inhaled it. He said he wished I had made more. Next time I will! This dish is easy to make. I marinaded the chicken in a mixture of frozen margarita mix and beer - hence the name "Beergarita Chicken". It was great. The grits were to die for too. If you don't have any Chipotle Gouda, you can use regular Gouda cheese and add a little ground chipotle. Either way, this dish is to-die-for! In a large ziplock bag, combine all ingredients. Refrigerate for at least 4 hours or overnight. Grill chicken approximately 10-12 minutes or until done. Alternately, you can saute the chicken in a skillet for 3-4 minutes per side. 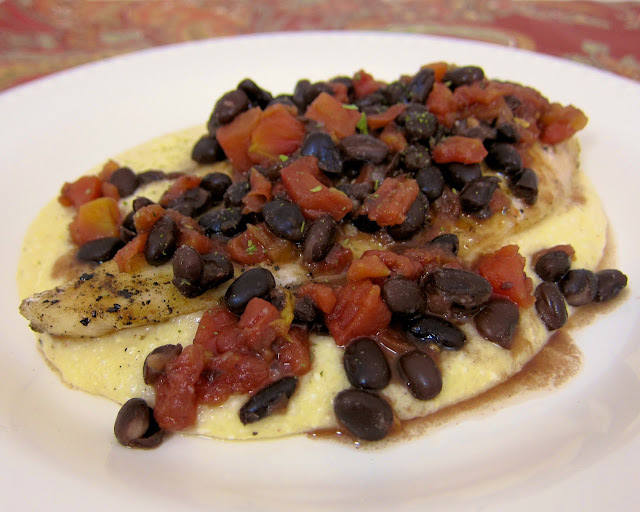 Serve chicken over grits and top with black beans. In a medium pan, bring chicken broth to a boil. Slowly stir in grits. Reduce heat to medium low. Cook 5 minutes, stirring occasionally Stir in cheese. Cook until cheese is melted. Serve immediately. Drain and rinse black beans. Combine black beans and Rotel in a sauce pan. Heat 5 minutes. 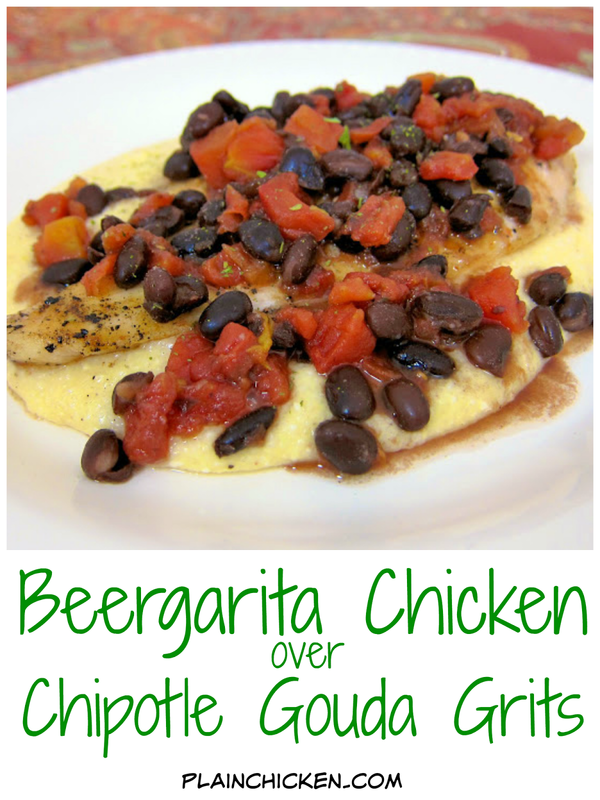 I love Beer Margaritas and cheese grits, so this recipe definitely got my attention! 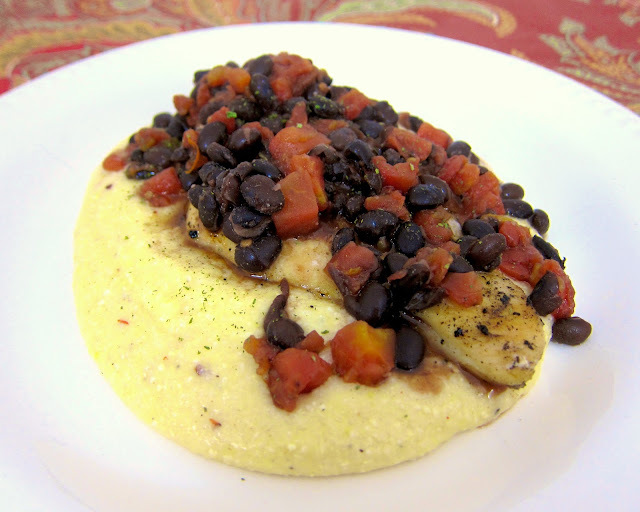 Chipotle gouda grits. I'M SPEECHLESS with joy! Lookin' good. I finally convinced the hubby after 14 years that grits could be so much more than plain. What would be a good alternative to the grits as a side for this? Honestly, I AM a Southerner. Chipotle gouda grits? SHUT YO' MOUTH! I could eat just that part and be happy. Keri - I'm not a grits fan either, but these grits are nothing like you get at the Waffle House or Cracker Barrel. I promise! If you aren't daring enough to try them, you could serve this over some Mexican rice. Pretty sure if I made this for the man he'd ask me to marry him right there and then! This sounds amazing!